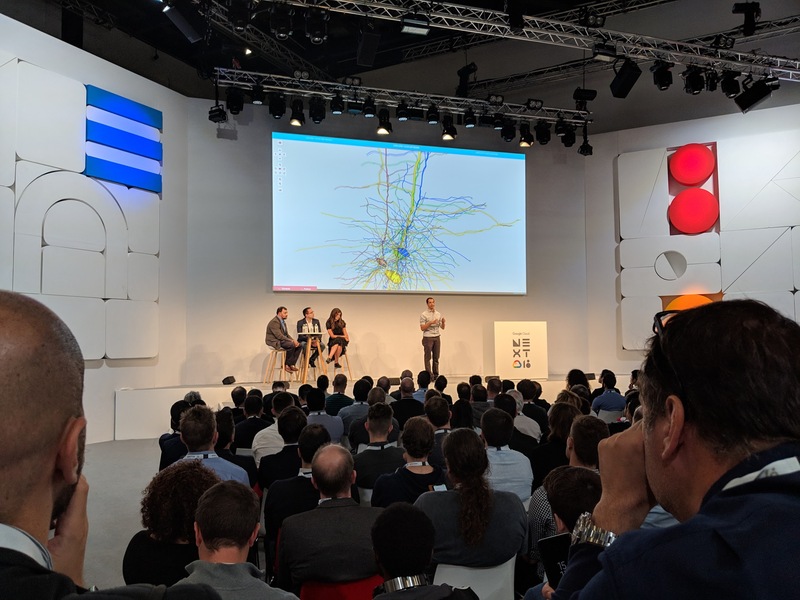 Dr. Salvador Dura-Bernal was invited to give talks at the Google's cloud computing conference Next'18 in San Francisco on July 26 and London on October 12, 2018. The session was called "Computing with Power Not Previously Possible with BigQuery & Compute Engine". Google invited Dr.Dura-Bernal to talk about their recent collaboration using Google Cloud Platform (GCP) to run large-scale simulations of the primary motor cortex circuits. Dr. Dura-Bernal was one of the first researchers to test the integration between GCP and SLURM, and to run very large-scale parallel simulatuons: using over 30,000 processors simultaneously. This enabled Salvador to significantly expedite his research by reducing computing times from several days to just a few hours. The Google Next'18 San Francisco talk is available here: https://www.youtube.com/watch?v=tKkHzEtLjtY&t=957s.